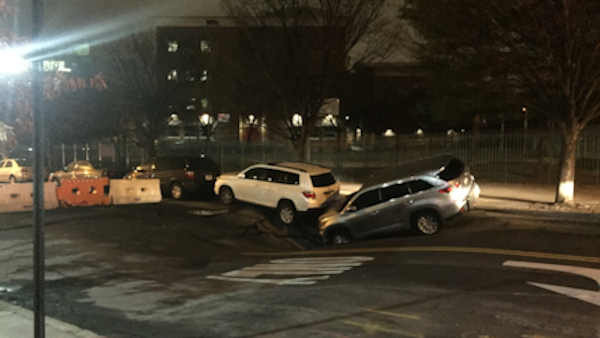 SUNSET PARK, Brooklyn (WABC) -- Crews have been busy making repairs after a large sinkhole opened up Tuesday on a street in Sunset Park, Brooklyn. The FDNY got a call just before noon for the sinkhole on 56th Street and 6th Avenue. No injuries were reported, and there were no evacuations. As a precaution, gas has been shut off to several nearby buildings. There is no word yet on when the street will be re-opened.